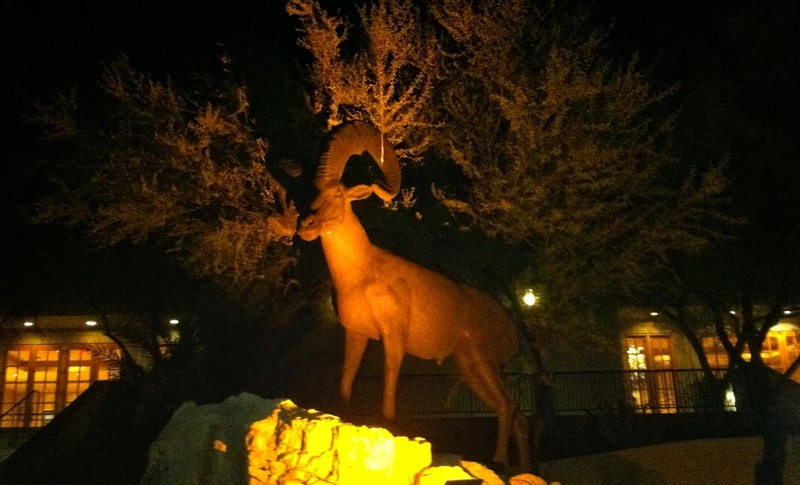 This magnificent big horned ram sculpture stands guard at the Hilton El Conquistador. The sculptor is Mark Rossi, a very well known artist who specializes in capturing the essence of animals living in the southwest. There are many Mark Rossi sculptures on display at the Desert Museum also (think of the javelina at the ticket windows). These sculptures are so stunningly realistic...how many kids have sat on the Javalina's back for a picture at the desert museum!! I did not know they were works by Mark Rossi.